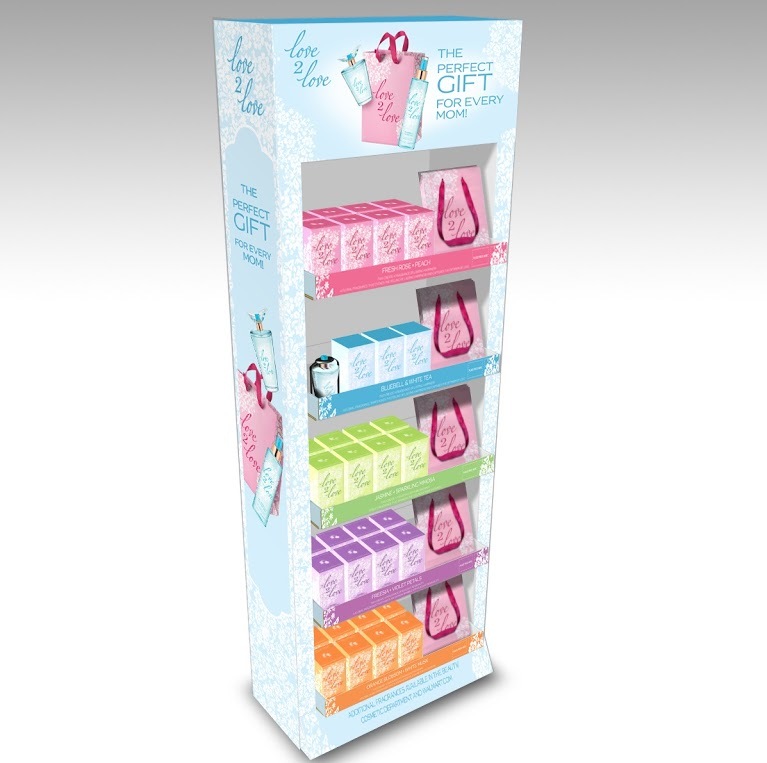 Coty fine fragrances are enclosed within a beautiful bottle adorned with a whimsical petal shaped cap. Amazing smelling fragrances don't have to be expensive. Coming in at under $10 they are an affordable indulgence that will make your Mom feel special with out breaking the bank. 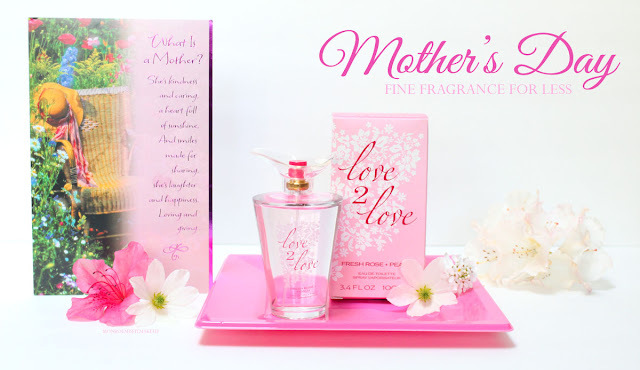 With 5 fragrance options to capture every feeling there is one for every Mom. 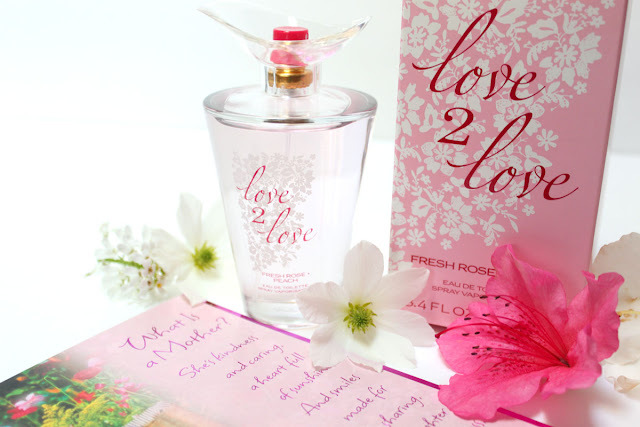 Fresh Rose + Peach is the fragrance I chose for my Mom. 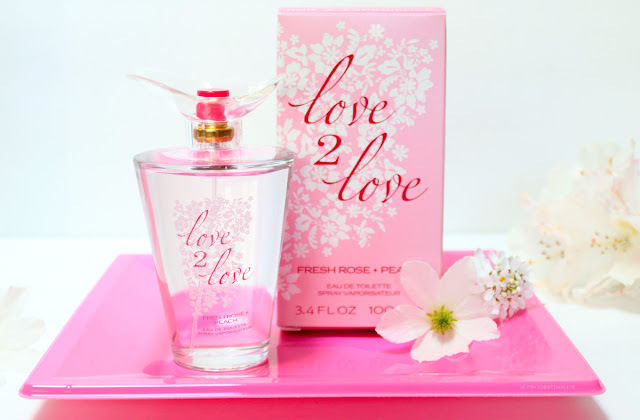 A light floral scent that captures the feeling of happiness and everlasting love. The scent envelopes you in a gorgeous rose with sweet notes of juicy peach nectar. A perfect combination of floral and fruity, which I personally love. The brand new Love2Love fragrance Bluebell + White Tea was released on May 1st at participating Walmart Stores. With notes of blueberry white tea and nectarine it is a captivating fragrance that radiates love and grace. Sounds amazing! 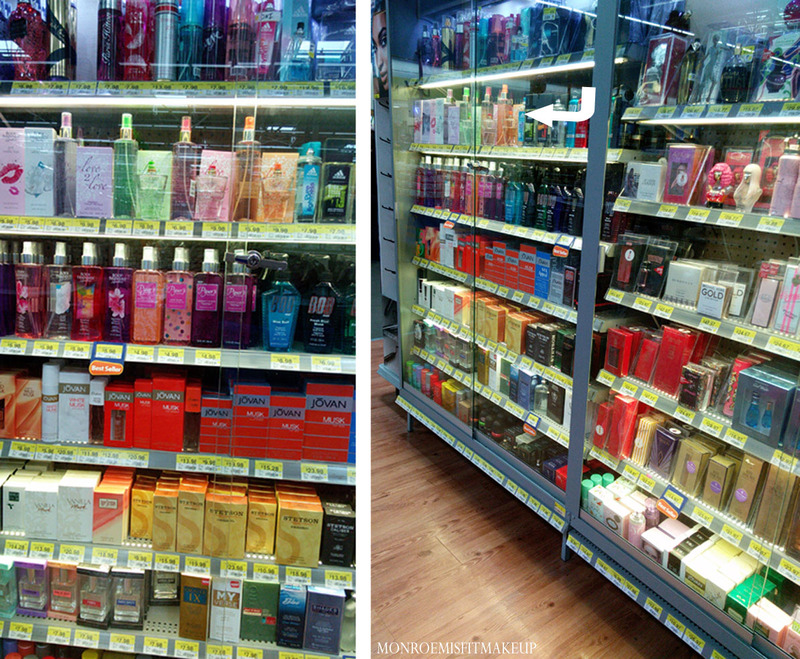 I discovered the Coty fragrances at my local Walmart located inside the glass fragrance cases. Located up front in the store near the Health & Beauty section. 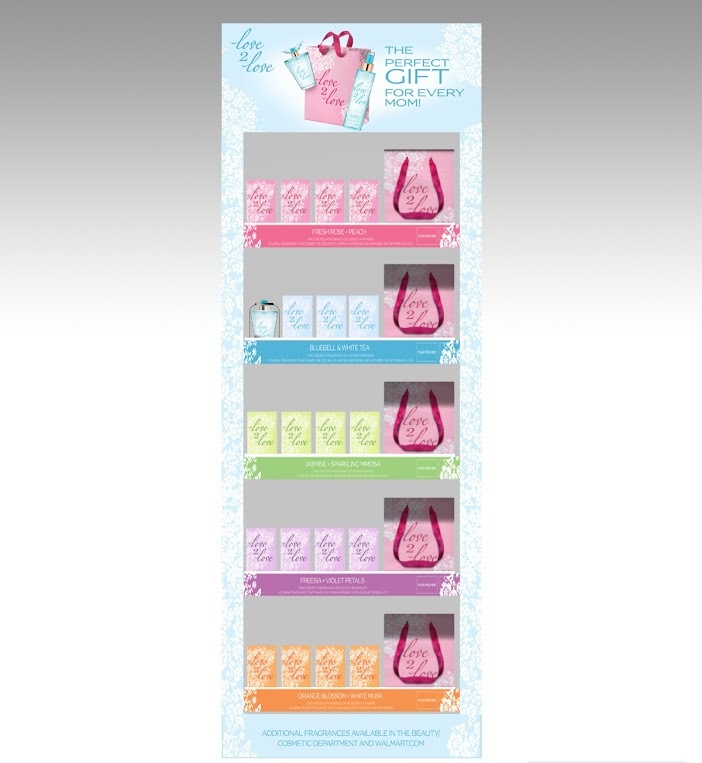 Be on the look out for a special end cap that will feature the exciting new Love2Love Fragrance Bluebell + White Tea and also $.50 Love2Love gift bag! Pick one up and you have a special budget friendly gift for Mother's Day! 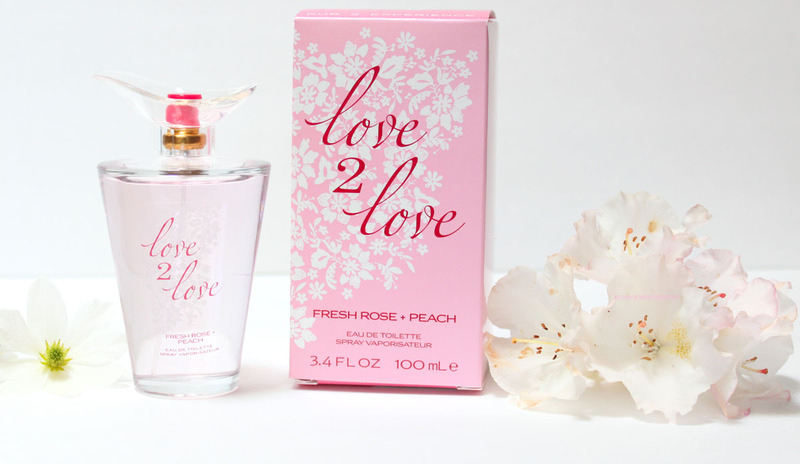 Check out love2lovefragrances.com andscentstolove.net for more information. 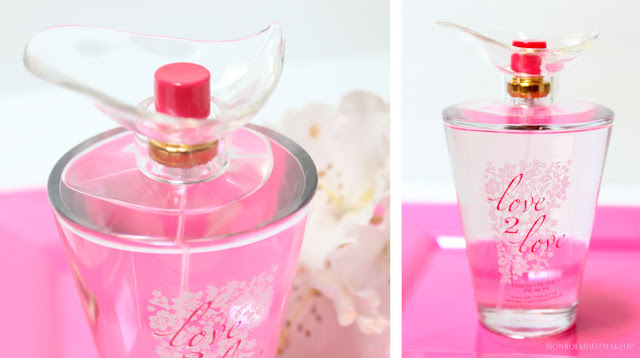 Save money and smell great with Coty Love2Love Fragrances! What Love2Love fragrance would be your mom's favorite? Let me know!